SCIREQ Inc.: Thank you for meeting us at the 2016 Pittsburgh-Munich Lung Conference! 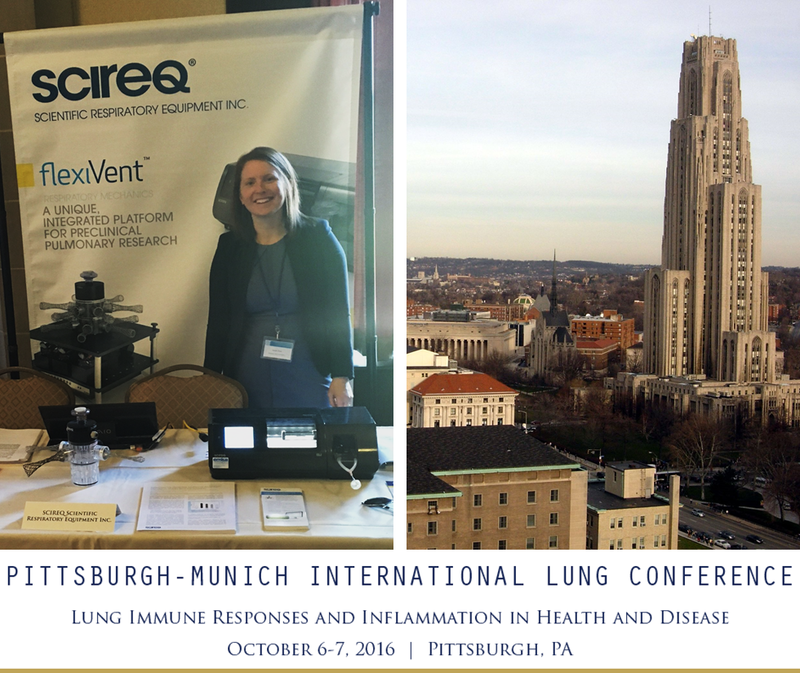 As it was our first time in attendance at the annual Pittsburgh-Munich Lung Conference, we would like to extend our thanks to the Division of Pulmonary and Critical Care Medicine at the University of Pittsburgh for such a warm welcome. The meeting was an excellent occasion to speak with current customers and other prominent researchers helping to improve our understanding of pulmonary immune response, inflammatory pathways and innovative approaches to treating respiratory disease. Contact us to learn more about our suite of technology for respiratory research.